Over the past couple of weeks I have been seeing lots of posts regarding Imperial Leather shower creams in sweet fragrances and people raving about them. I am a big sweet lover and prefer sweets over chocolates (a bit controversial I know), which is why I really wanted to get my hands on them. I hate boring generic shower gel scents, so I thought it would be perfect for me and they are reasonably priced. I am in love with these shower gels and the fragrances are amazing!!! 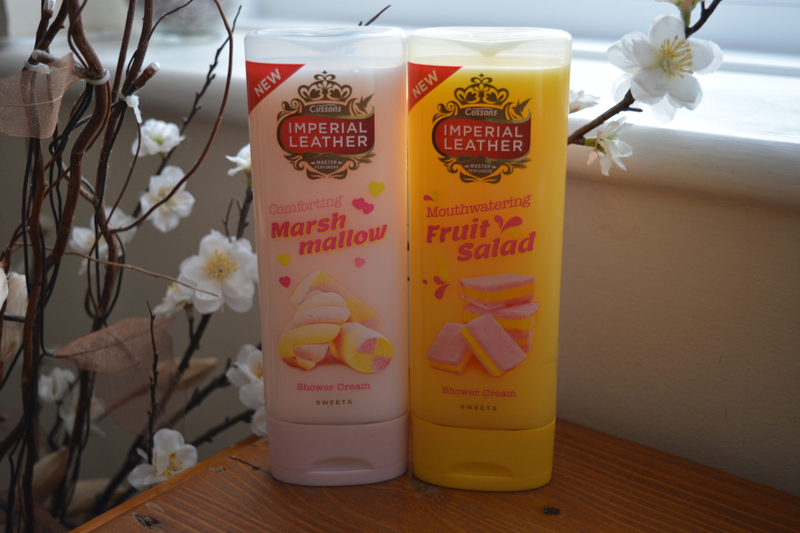 I bought the Fruit Salad and Marshmallow shower creams, and I could not recommend them more. They lather really well, which means you do not need to use half the bottle and a small amount of the shower gel will suffice. Both scents smell exactly like the real deal and I love the sweets range, I could not choose my favourite between Fruit Salad or Marshmallow as they are both awesome. The Marshmallow shower cream is a softer sweet scent and also kind of smells like candy, whereas the Fruit Salad shower cream has more of a tangy kick. There are two other shower gels which are a part of their sweets range, and they are: Lemon Sherbet and Peppermint. Unfortunately Superdrug did not have either of those shower creams in stock when I was in there the other week, which is only why I came away with two. I will definitely be buying them in the future and look forward to getting my hands on them. They are currently on offer for £1.00 at Boots, so go splurge and buy them all. The Imperial Leather shower creams are more than reasonably priced and smell incredible!